An amazing Peach Cobbler recipe is a necessity in the south, and in this post I’m sharing an unbelievably easy peach cobbler recipe. Growing up in South Carolina we always had hot peaches throughout year, especially during the winter time. I absolutely love everything about a peach cobbler, the freshness of the peaches, the flaky crust, and of course the smell of cinnamon. When I was a little girl I remember the smell of the hot peaches, cinnamon, butter, and sugar in the air. As all the ingredients were being poured onto a wonderfully flaky crust. After the peach cobbler was finally finished and we could eat it, it was truly one of the best things I’ve ever had. As I’ve gotten older, I have changed the recipe for the better, by adding a little more flavor here and there. This is one of the easiest and most delicious peach cobbler recipes, that you will ever find and I dare you not to enjoy it. I can promise that it will become one of your go to dessert recipes. If you’re ever feeling like a sweet treat then, this recipe is perfect for you. If you’re a fan of fruit filled savory desserts than you will also love my homemade apple pie recipe, which can be found here. As always before we begin to bake anything we need a list of ingredients. 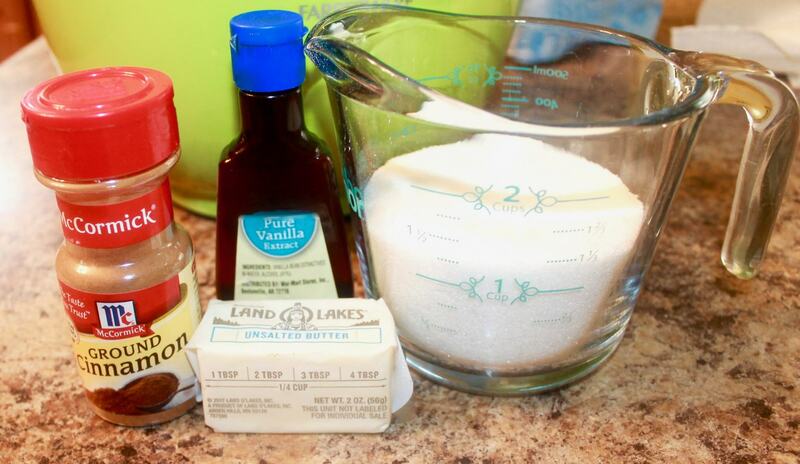 1/2 cup sugar, because you don’t want it to be too sweet. You can add more sugar if that’s your preference. Canned Peaches or Fresh Peaches? Personally, I have made a peach cobbler with canned peaches, and I have made peach cobblers with fresh peaches. I have found that they are both delicious, so it’s entirely up to you. I used fresh peaches in this recipe, because I was at the Farmer’s Market a few days ago, and they were just sitting on the counter. Since I wanted a sweet treat and I couldn’t possibly let them go to waste, I’m making a peach cobbler. 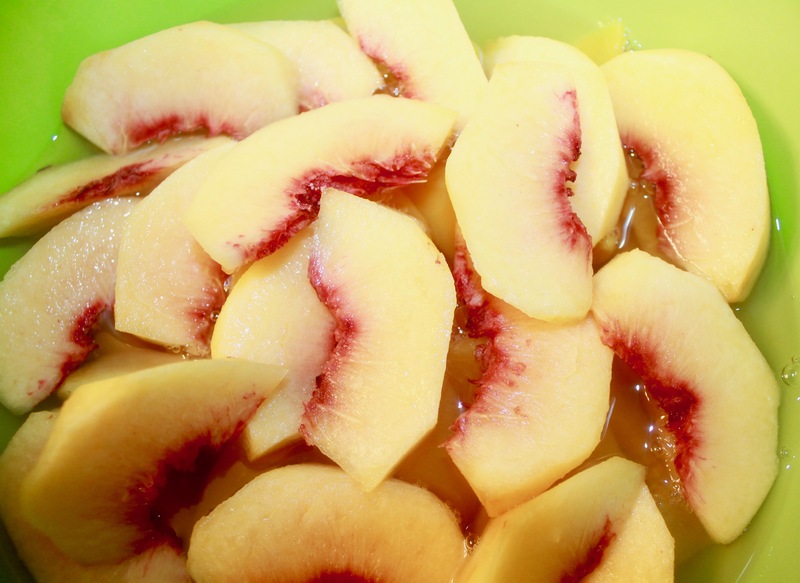 If you’re going to use fresh peaches, remember to wash them before you start preparing your peach cobbler recipe. 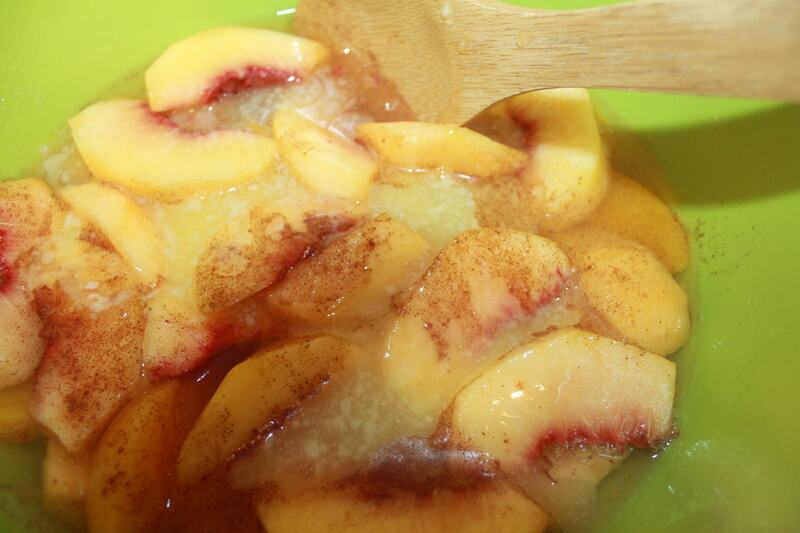 After we’ve washed and sliced our peaches we can finally being to make our delicious peach cobbler. 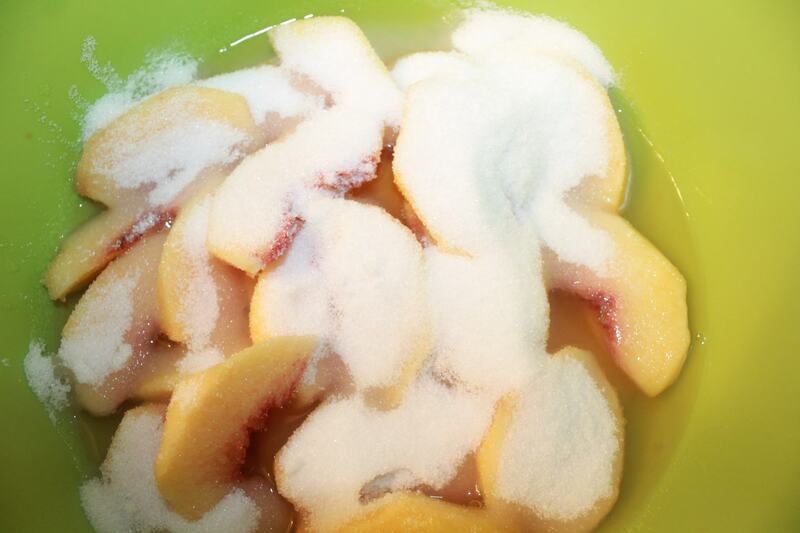 First, I’m going to add my sliced peaches , and 1/2 cup of sugar into a bowl. As the peaches are marinating in their own juices. I begin to add 1 teaspoon of vanilla flavoring, 1 tablespoon of lemon juice, 1/2 cup of melted unsalted butter, and 1 tablespoon of cinnamon. 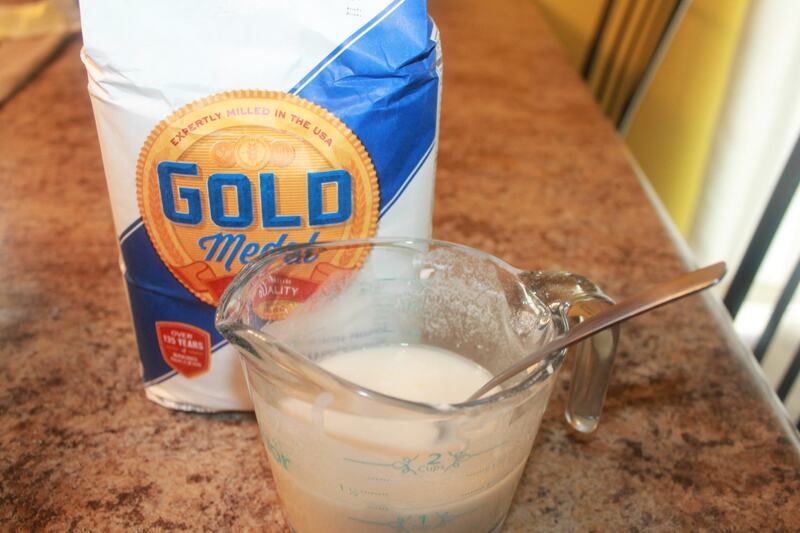 Then, add a 1/2 cup of all-purpose flour and a 1/2 cup of water, and mix them together. 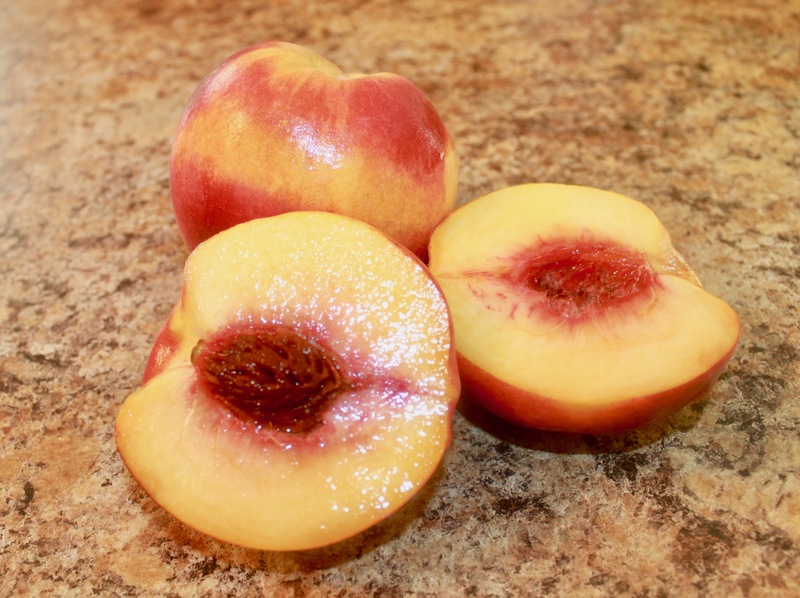 This is to ensure that as your peaches cook, they will bubble in a thick, rich, and sugary peach juice. 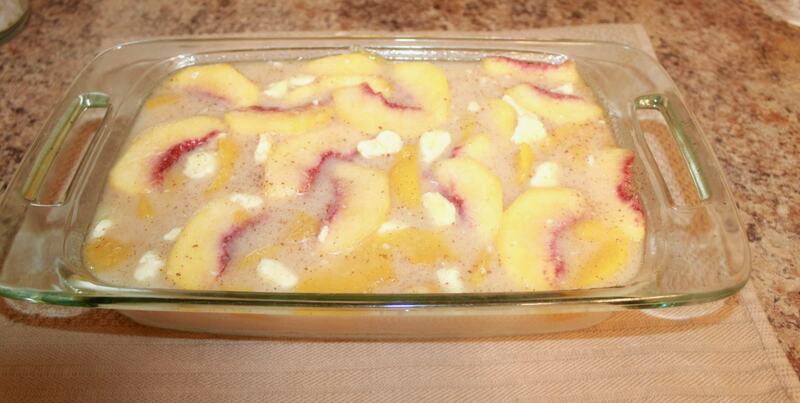 As your peaches are still marinating, after you’ve mixed in all the ingredients you can began to bake your crust. 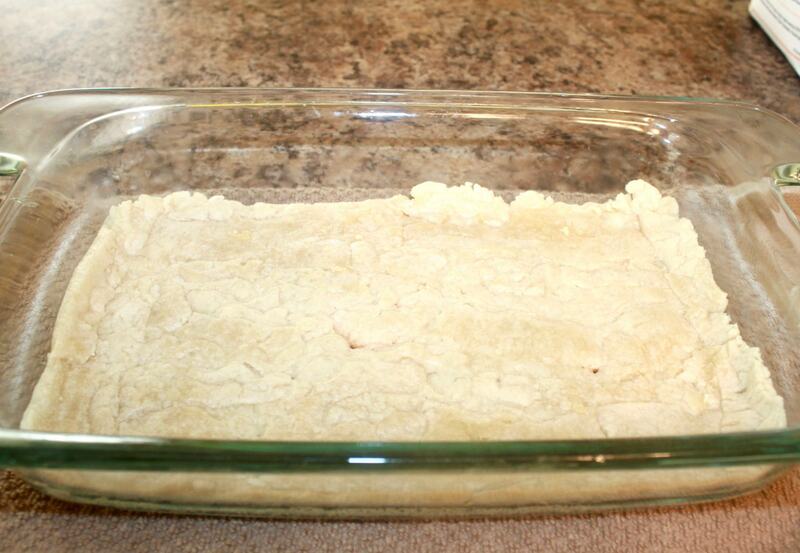 Sometimes I cook my own pie crust from scratch, but in this recipe I’m using a store bought crust. I cooked the bottom of my crust for about 10 minutes on 325 degrees. 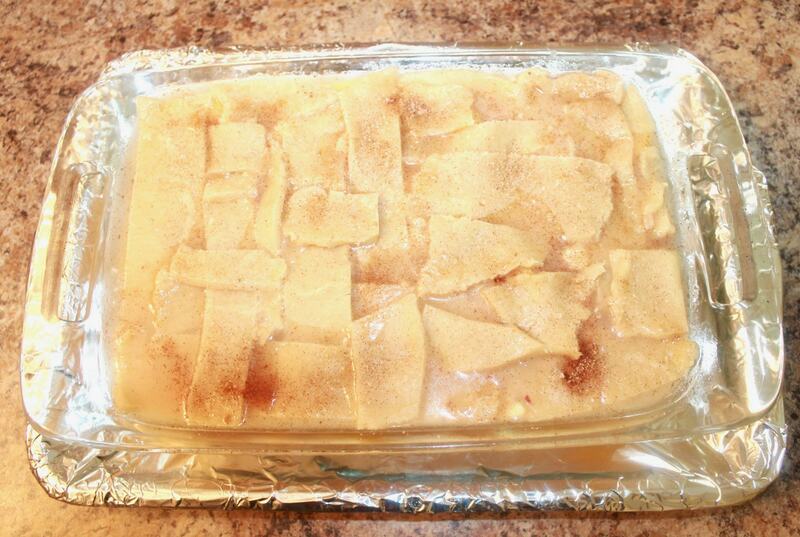 Once I remove my finished crust, I began to pour my peach cobbler mixture on top of it. Then add the top layer of dough in the design of your choice. 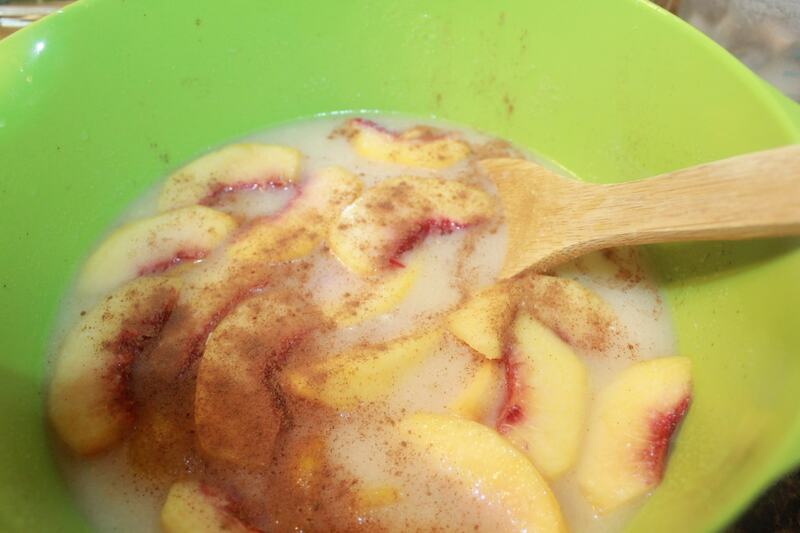 Sprinkle the top of your cobbler with a little cinnamon and sugar. Then place your peach cobbler in the oven on 350 degrees for about 40-45 minutes or until the top of your cobbler is a beautiful golden brown. 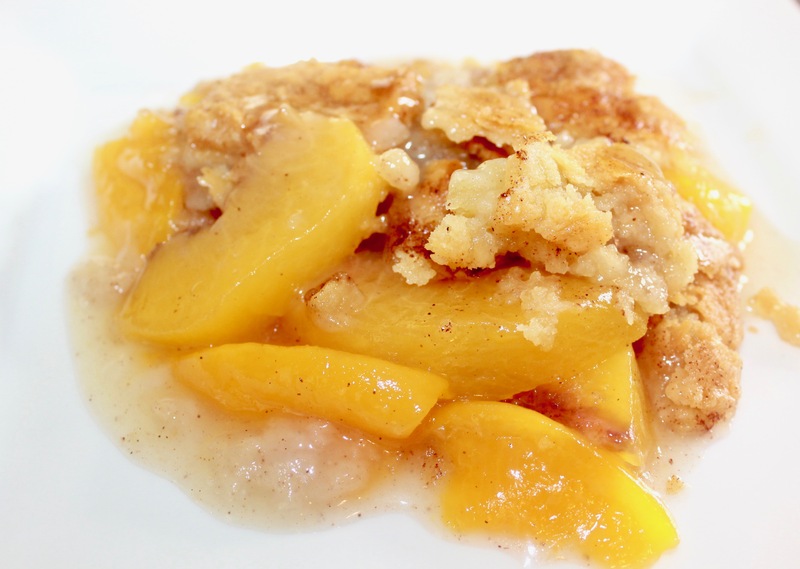 Now that you’ve finished baking this super easy and delicious peach cobbler recipe. You can reward yourself by grabbing a spoon and digging in! Don’t forget to add vanilla ice cream or whipped cream to this yummy treat! Hope Y’all enjoyed your post, have a wonderful day everyone! Looks so so good! One of my favorite southern desserts. I can’t wait to try this out!